The MBA at Carlos III was first launched in 1997. It is delivered in English and offers extra-curricular Spanish training. In 2006, it was accredited by the Association of MBAs (AMBA), one of the most important international accrediting bodies and the only with an exclusive focus on MBA programs. There are only six AMBA-accredited programs in Spain. The mission of our MBA Program is to provide professional business education based on high academic standards. We focus on instilling independent thinking and we approach business problems and opportunities with critical questioning rather than with ready-made answers. We provide a long-lasting educational experience. Universidad Carlos III de Madrid (UC3M) was founded in 1989 with the objective of offering high-quality graduate and undergraduate education and promoting high standards of research. The University ranks 20th in the "QS Top 50 Under 50" ranking, which spotlights the 50 best universities worldwide under 50 years old. Carlos III is regarded by employers as one of the top Spanish universities, and is internationally recognized as one of the leading business research institutions in the country. It attracts a large number of international students and has three modern campuses located in Madrid's metropolitan area. The Business School - Department of Business Administration - was founded in 1993 and is responsible for teaching and research activities in all business-related areas: Accounting, Finance, Management and Marketing. The mission of the School is to conduct high quality business-related research publishable in the leading international academic journals; and to provide high quality teaching at both undergraduate and graduate levels. The MBA faculty is a group of international professors who excel in their fields of expertise and are truly passionate about teaching. 93 per cent of them have a PhD Degree and 95 per cent have a graduate (doctoral or Master's) degree. Most of the MBA teaching staff comes from the Department of Business Administration at Carlos III, one of Spain's most selective top business research institutions. Professors are trained in top PhD programmes in Europe and North America and follow a competitive tenure-track process before becoming permanent members. Highly-skilled outside professionals also contribute to create an exciting learning environment. They come from a variety of professional and academic backgrounds and provide valuable managerial and industry expertise. A very good undergraduate academic record. Work experience of at least 3 years. Personal qualities. The MBA program looks for candidates with the following qualities: strong interpersonal skills, an interest for multidisciplinary learning, a concern on their country's well-being, and curiosity about other cultures and countries. GMAT and TOEFL are not required for admission to the MBA Programme. However, they are positively considered towards admission. Applications are assessed on a continuous way from the date in which the submission process opens (typically, Dec 1st). Candidates are informed about rejection or provisional acceptance (pre-admission) in a maximum of three weeks. Pre-admission indicates that the applicant meets the minimum requirements for admission, but does not guarantee final admission. Final admission is given on a competitive basis among all pre-admitted candidates and after conducting a personal interview. The MBA program grants a limited number of competitive tuition discounts. Students must formally apply to these discounts upon enrollment. Financial aid is offered in September and the discount is effective in the February payment. The University has four different campuses in Madrid. The MBA facilities are located in the Puerta de Toledo Campus at Madrid's city centre. 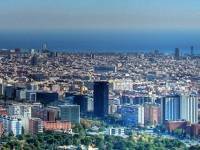 The city of Madrid is increasingly international and multicultural, not only because of the international business links of Spanish companies, but also because of a large increase in immigration. With approximately 3.5 million inhabitants, Madrid offers an exciting combination of history and modernity in an increasingly multicultural environment. Madrid is art and culture everywhere. Its shows and museums, the street environment, architecture or excellent gastronomy are some of the reasons to discover Madrid. Msc now or MBA later? Msc now or MBA later?